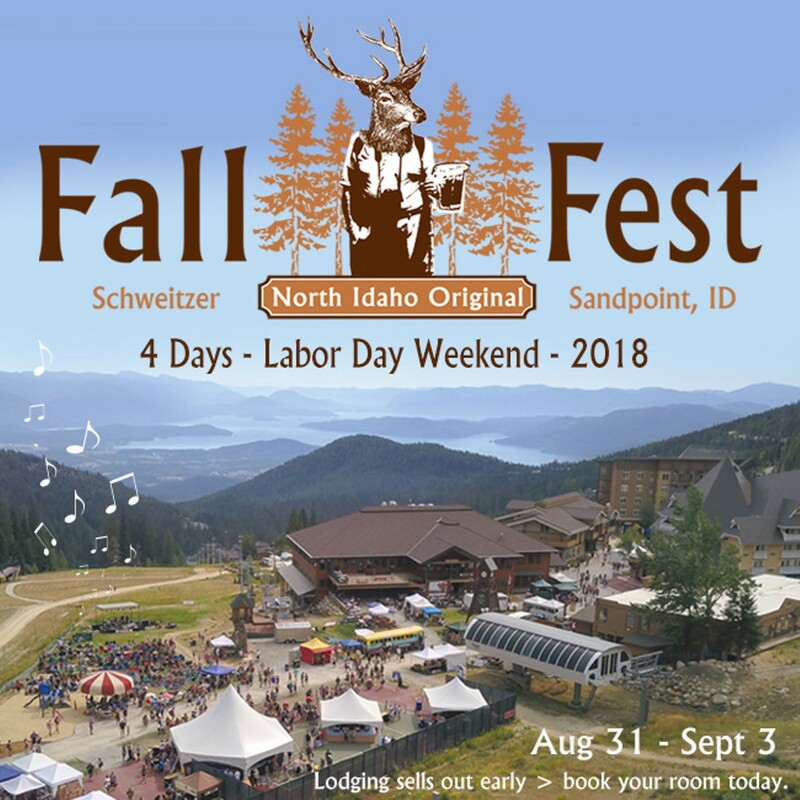 Head up to the mountain one last time and send summer off with a bittersweet toast during Schweitzer’s 26th annual Labor Day weekend celebration, Fall Fest. The four-day event packs in all the live music, beer, wine and cider you can enjoy, with 75 microbrews and ciders on tap in the beer garden and performances from nearly a dozen local bands and musicians. Kids are welcome at this family-friendly weekend and even get their own soda tent where they can become mini mixologists. Other activities throughout the weekend include the last chances to hike, mountain bike and ride the resort’s Great Escape Quad to the top of the mountain before summer operations close for the 2018 season.